Have you ever woken up in the middle of the night to go to the restroom, and found that there was toilet water on the floor? Nothing is more annoying than a leaky toilet, especially when you don’t know what the problem is. At Star Cities Plumbing, we understand your frustration in troubleshooting toilets. That’s why we are available 24/7 to fix any plumbing problems you may have. Condensation: One of the most common causes of toilet leakage is condensation of water on the outside of the tank. Known as “sweating,” this problem occurs when the temperature of the bathroom and the tank water are different. Between the bowl and the tank: Most of the time, this can be detected with the color test from above. You may need to get new washers or a new sponge gasket to fix the problem. Fill valve shank gasket: Make sure there are no cracks near the gasket in the porcelain. You may need to tighten the shank nut or replace the gasket. Fill valve refill tube. Check to see if the refill tube is loose. Cracks in the toilet tank. Replace the tank or the whole toilet. 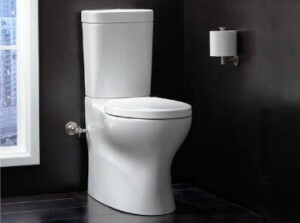 Are you having issues troubleshooting toilets? No problem. At Star Cities Plumbing, our New York City plumber is available today to help you with all your plumbing problems. Contact us at (800) 547-1422. Water is great to have, until you have it in places that you’d rather not. Star Cities Plumbing is here to not only take care of New York City’s plumbing needs; we’re also here to teach you a few things in the process. While you wait for us to arrive to take care of your water leak, you might first want to determine where the leak is coming from through a water leak inspection. The first thing that you’ll want to do is shut off all appliances in your home that use water, which means shutting off the water both outside and inside of your home. After that, you’ll need to remove the lid and cover from the meter box. If you see the triangle or round disc, known as the “leak indicator,” spinning, then you more than likely have a leak. Some meters don’t have indicators and use dials instead. If the meter dial hand is still in motion after you’ve shut off your appliances, then you still have running water somewhere in your system. Waiting is another part of your water leak inspection if the meter hand isn’t moving. Wait 10 minutes and check the meter again to see if it has moved. If it has, then you more than likely have a slow leak. To check your toilet for a leak, flush it, add a few drops of food coloring to the reservoir while it’s still filling and wait about 15 minutes. If the water in your bowl shifts colors, then you probably need to replace the flapper valve. If you ever feel that performing a water leak inspection is too complex or if you’re unable to locate the leak, call a licensed New York City plumbing expert. Contact us at Star Cities Plumbing at 800-547-1422. Have a clogged sink? A leaking faucet? You may not need to call in the experts just yet. At Star Cities Plumbing, we love to help homeowners save a little bit of money by giving them tips, like how to snake a drain. If you are experiencing an emergency, our specialists are prepared to help. Otherwise, try these convenient do-it-yourself plumbing techniques. Get a sink plunger at a local hardware store and pump until the clog is clear. Check and clear the p-trap, which is the curved section of pipe below the sink, by turning off the water and disassembling the pipe. 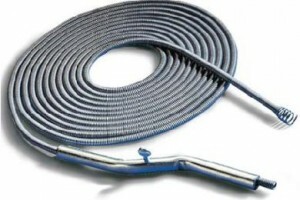 If you’re wondering how to snake a drain, it’s relatively simple. Place the tip of the device into the drain’s stub-out, crank clockwise to move it through the pipe and push through the clog. As any New York City plumbing specialist knows, your faucet could be dripping for a number of reasons. You can try taking apart the hardware to look for a cracked piece or clean out the aerator, which is the little screen over the mouth of the faucet. If you see a wet spot and drops of water coming through your ceiling, shut off water at the source of the leak if you can find it, or turn off the main water valve in your home. Next, call a professional plumber. Do-it-yourself repairs are great for minor clogs and leaks, but situations like this need expert attention. If you know how to snake a drain and remove and replace a faucet, you can save yourself a little bit of money when it comes to some plumbing issues. It is best to call our staff at Star Cities Plumbing when you can’t resolve the problem or if the leak is beyond your abilities. Contact us today at (800) 547-1422 to find out how we can help you. The services of a good plumbing company, like Star Cities Plumbing & Heating, gets noticed more when something goes wrong with your plumbing such as a leaky toilet, faucet or shower. Hiring our professional plumbing service to perform leak detection and fix the job will save you from additional damages to your home or business. Star Cities Plumbing & Heating Company will do the job efficiently and correctly the first time so that you avoid future repairs. Whether your needs are commercial or residential, if you need a major overhaul on a plumbing system or just a minor repair, hiring a professional company like ours to do the work will ensure your problems are resolved once and for all. If you notice a leaking shower, faucet or toilet, it’s important to call us as soon as possible. A minor leak can quickly lead to more serious problems such as mold and structural damage. These are hazardous to your family’s safety and health. 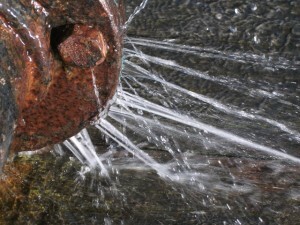 In most cases, leaks are minor and can be quickly remedied. However, they become a lot more serious if not repaired and can cause expensive damages to your home. 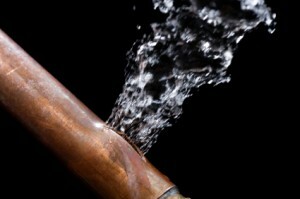 Our professional and experienced plumbers can have a leak fixed in just a few hours time. However, with any leak, there could be underlying causes that make it a more serious issue. Our professional plumbers can quickly discern if you have a small leak or a major problem that would involve repairs and extensive overhauling. When it comes to small problems like leaking toilets, faucets or showers, don’t give it time to turn into a serious problem. We offer a fast response to every call and emergency services any time of the day or night. We are honest, experienced and licensed to perform all your plumbing services. Contact us at Star Cities Plumbing & Heating at 800-547-1422 and we can resolve your plumbing needs today.